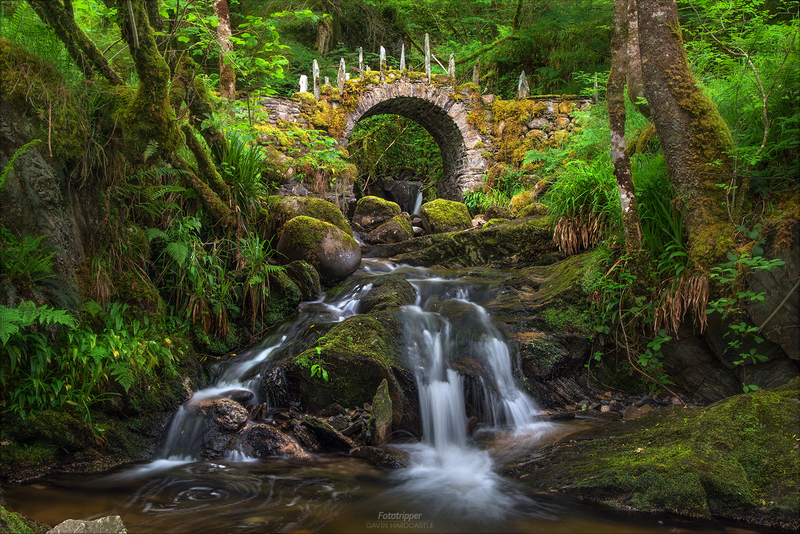 Like something out of ‘The Hobbit’, this secret spot in the Scottish Highland was literally dripping in green. While scoping new locations for our Scotland Photography Workshop we set out to discover this iconic spot. It took some finding, with many wrong turns but once we arrived, it was like a photographers paradise with lovely compositions everywhere we looked. ‘The Fey Realm’ is definitely one of those locations that benefits from a longer focal length. I tried shooting it from all angles with an assortment of lenses and decided to ditch the super wide and shoot at around 40mm for this lovely little scene. I found that it looked a lot better during a light rain as all of the surfaces were nicely soaked, lending the scene a very saturated look.